We live in a world of convenience. Lunch gets delivered on scooters, films can be watched on our mobiles, all the while checking emails, turning the heating on, and checking if the dog let itself out after the cleaners left to pick up your kids. It seems people sometimes disregard additional costs for the simplicity factor, only to find that it could end up costing more in the long run. The same can be said for your old car. Yes, it is a nightmare selling it yourself, particularly answering calls on a Sunday from that guy that wants to bring his entire family to kick your tyres because he has nothing else to do. Or there’s the infamous “cash buyer”, who wants to sit at your kitchen table counting old twenties while your kids are eating their cereal. So, how awesome is it that we have companies advertising that they will buy your car regardless, give you money straight away and you have nothing else to worry about…they even have websites so you can see how much your car is worth beforehand – convenience. But, what happens when you get there and they start to scrutinise your pride and joy. That little dent from Mary at Tesco as she lost control of her trolley. The scrape from next door’s kid’s football as he crossbar challenged your roof rails. The fact that you may have actually used your tyres and god forbid you missed a service. All of a sudden, that online figure that tempted you to take the easier route is decimated by some smartly quipped guy and his clipboard. You either leave, dreading the thought of advertising the car yourself, or you actually take their offer because now you feel like you should. Well, why not consider this: take your car to an expert, who will professionally appraise it for all the good stuff it has. Let them know how much you would like for your car and watch them work hard to achieve that value for you. All the while helping you to get excited about your next purchase and bridging the gap between old and new quickly, professionally and with an interest in what is a massive decision for you. One place, one chat, one convenient way to sell or buy your next car. 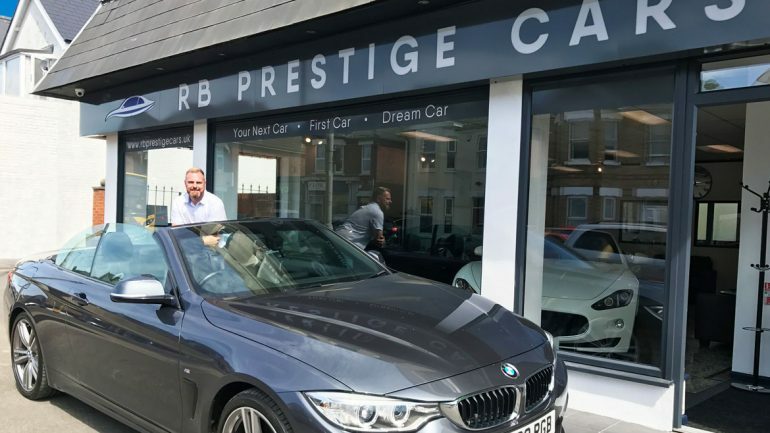 RB Prestige will buy any car too. But we respect the time and money you have invested in your current car, while advising the best way to go forward. You can be at ease knowing that we will be here again in the future for you, making it even easier the next time – Convenience personified. Call us! If you have any questions at all about the buying and selling process, we would be happy to help.